Indian society is in a phase of transition and the Marriage trends have undergone a sea change in past few years. The weddings in current times are far different from the wedding celebrations of ancient past. The wedding trends of today have adopted some modern rituals without replacing basic tenets of marriage. 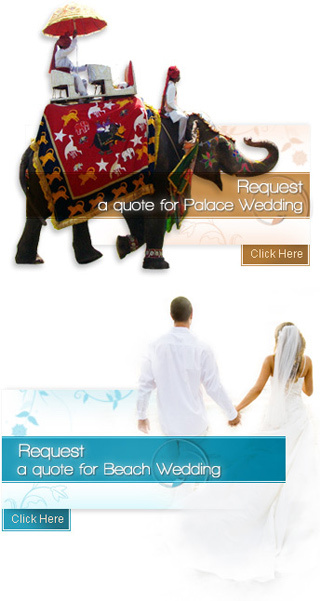 The new-age weddings are following all the rituals with a touch of modernity. Marriage trends in India have undergone a tremendous change in recent times. Today we see a lot of weddings taking place that are different from those performed in the yesteryears. Traditionally there were various rituals and social customs that played an important role in marriage trends. It was considered a sacred bond between two families. During those days the consent among parents of both families was considered more important than the approval of the two people who will marry. Since the beginning of the fourth century the tradition of arranged marriage is prevalent. This was practiced mainly to unite the families of the upper castes. A marriage trend that was introduced with the notion of arranged marriages was the dowry system. A dowry means giving gifts to the family of the groom as demanded by them. However the system of dowry has become a great source of social unrest today. It is considered a burden to the family of the bride and the demands have gone to such a huge extent that reports of dowry deaths have become common. The custom of sati was another marriage trend that was prevalent in India. It is a social hindrance today and there have been great changes in this system. Sati was self immolation of the widow. This practice is considered illegal today but still there are instances of sati reported in some places of India. Thus it shows that India is still not free from the tight grip of social evils. The abolition of the incidence of sati is owed to the great social thinker Raja Ram Mohan Roy. Another marriage trend in India was child marriage that prevailed in India. There are historical instances that tell us that the practice was not prevalent in ancient India but was started during the mediaeval times. This was done to safeguard the welfare of the people of higher castes. This was done to stop children from marrying people of other community or caste. The system was so rigid that the children were married in their cradle which actually had to be performed in middle ages.